Believe it or not, the Predators are not the only team in Nashville fighting to make history in the playoffs. The Vanderbilt Commodores Women’s Bowling team captured their second national title in team history and fourth in school history with a thrilling come-from-behind win over McKendree University. The Commodores won two straight games, including a decisive game seven, to win the match. In Vanderbilt’s storied athletic history, just three varsity teams have shared the honor of taking home the most coveted achievement in collegiate sports: a national championship. Most recently, the 2015 Women’s Tennis Team defeated UCLA to win its program’s one and only championship. Likewise, a year prior, the 2014 Baseball team beat Virginia to join the club. The third and final program, the Vanderbilt Women’s Bowling team, took home Vanderbilt’s first national championship over a decade ago, defeating the Maryland Eastern Shore Hawks in 2007. 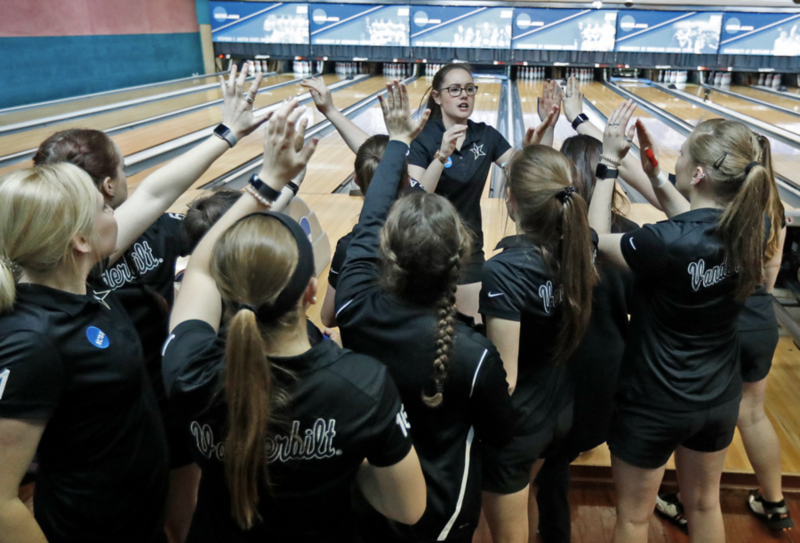 While the baseball and women’s tennis teams have experienced their fair share of recent success, the women’s bowling team remains at the helm: in just fourteen years as a varsity team, the ‘Dores have appeared in three national championships. Today, at the Tropicana Lanes in Richmond Heights, Missouri, Vanderbilt made their fourth title appearance, facing the defending champions from McKendree University. Once again, they were posed with the opportunity to make history and become the only Vanderbilt team with two national championships. Vanderbilt entered the day looking to ride the hot hand of Junior Maria Bulanova. Bulanova, born and raised in Moscow, Russia, is an All-American who propelled the Commodores to the title game with a clutch strike against Sam Houston State. McKendree entered the day as favorites, but Vanderbilt proved their worth early in this match. In the first few frames of game one, McKendree struggled. The Bearcats (not to be confused with the Commodores’ last opponent, the “Bearkats” of Sam Houston State) seemed to experience small lapses in focus and Vanderbilt quickly took advantage. It took just 5 frames for Vanderbilt to find themselves ahead of McKendree by a total of 23 pins. As an underdog in a best of seven series, it was crucial that Vanderbilt won game one. 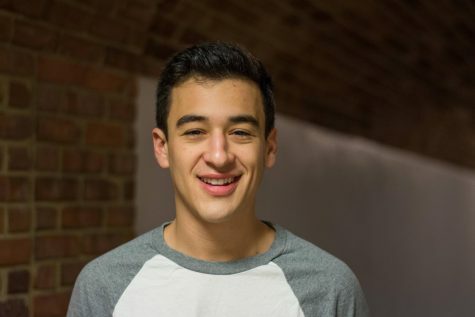 The result was nothing less, as the Commodores finished the first game strong: they ended with four straight strikes in rounds seven, eight, nine, and ten, winning the first game by twenty pins. The second game got off to an exciting start, as each team began with two strikes. Vanderbilt’s Katie Stark released her ball and appeared to bowl a third, but before the ball knocked over all ten pins, she lost balance. Stark slipped and fell; her hand landed in front of the line, leading to a foul. The crowd had gone silent as if she had been injured, while McKendree proceeded to capitalize with yet another strike. The Bearcats continued to dominate the second game; after finding their stroke, they dominated. They won by well over thirty pins to knot the series up at one game a piece. Game three was nothing like the first two, as the score was dead even through the first three frames. The fourth frame was Vanderbilt’s break, but the neck-and-neck competition continued. Ultimately, McKendree spared the tenth frame, forcing Vanderbilt’s Maria Bulanova to spare an impossible three pins just to tie. They didn’t get the outcome they had hoped, and McKendree took game three, leaving the total score at 2-1 in favor of the bearcats. Vanderbilt dominated the fourth game to tie it up at 2-2, but of course, the nature of this back-and-forth match remained. McKendree blew out the Commodores in the following game, fueled by six straight strikes in the sixth, seventh, eighth, ninth, and tenth frames. Heading into game six, McKendree was up 3-2. They needed just one more game to win the National Championship. Did anyone really expect the Commodores to go down without a fight? Today, we learned that the Commodores bowling team has that clutch gene the Predators could’ve used in the Stanley Cup Finals last year. They gave McKendree their best effort and was able to send this to game seven with a tight win in the sixth game. Now, two of the most exciting words to a sports fan: game seven. These words may invoke pressure within most athletes, making them increasingly nervous, but the Commodores remained unfazed. Her foul may have began the downwards trajectory for Vanderbilt early on, but Stark managed to tally her tenth strike of the day and propelled a huge rally for the Commodores. Everything seemed to go right for them in game seven, as they strung together five straight strikes and proceeded to win the national championship. Today, the Commodores bowling team accomplished something no Vanderbilt team has done before. After being put in a due-or-die situation in game six, they managed to avoid elimination, winning two straight games. They beat the Bearkats, then the Bearcats, to secure their second national championship, the only program on campus to do so. In the future, never write an article like this in chronological order. What was the most important part of the match? Game 7, of course. Yet Game 7 is the second-to-last paragraph of the story. You can’t do it that way.